Thank you to everyone who entered the recent contest sponsored by Interiors by Jacquin, Revisions Design Studio, and the fantastic artist Christoff Davis! A winner has been selected! 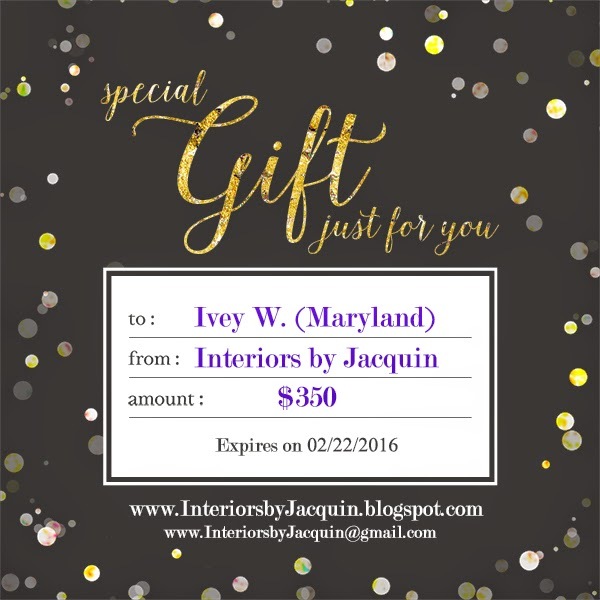 Our winner is Ivey W. of Maryland! If you missed out on this giveaway, don’t worry, Interiors by Jacquin will feature another contest this year. Thanks for your support and be sure to subscribe for more great interior design inspiration!